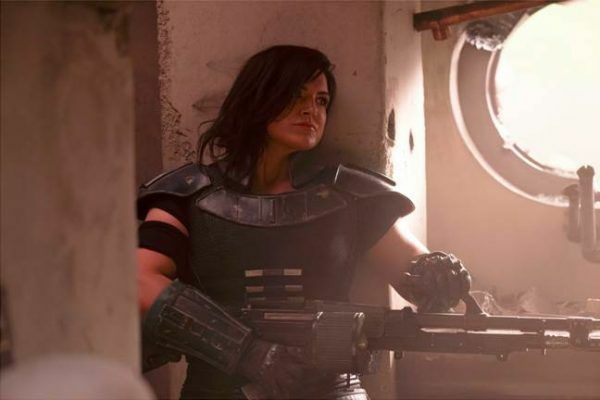 Star Wars Celebration 2019 just put the spotlight on the very first Star Wars live-action TV series, the upcoming Disney+ show, The Mandalorian. We’ve been talking about it for quite a while now, mostly highlighting casting updates, but we didn’t really know much about the Jon Favreau-created show beyond those announcements – until now. Before the panel even kicked off, the spotlight was on a specific group in the crowd, the Mandalorian Mercs, “a non-profit organization uniting fans of Mandalorian costumes, characters, and culture.” Their energy was infectious across the board but at one point a member highlighted that anyone can be Mandalorian. The helmets are all highly unique and so are the individuals underneath them, but they’re all Mandalorian. That’s a special quality for a group to embody and that’s one of the main reasons why I’m beyond thrilled that the very first live-action Star Wars series puts the spotlight on the Mandalorians. Filoni is actually the first person to have seen Iron Man. Favreau explained that the two first met while he was mixing Iron Man. He brought Filoni to the Kurosawa stage and he became the very first person to ever see the 2008 Iron Man movie. At one point, Favreau told Filoni about how much he loved the Mandalorians, so when Filoni needed someone to voice a Mandalorian in Star Wars: The Clone Wars, he turned to Favreau and gave him the role of Pre Vizsla. The Mandalorian is set five years after Return of the Jedi. Favreau told the crowd that he was drawn to the question, what happened after the celebration? The Empire fell, the revolution was successful and everyone was likely thrilled, but as we’ve seen in history before, after the celebration, things can get complicated. The show will explore the types of individuals who remain after an organization like The Empire crumbles, specifically the scum and villainy operating in the outer rim of the galaxy. The Mandalorian will be a show for everyone. The team assured the crowd that if you’ve been a fan of Star Wars for decades, this series will have a lot to offer. 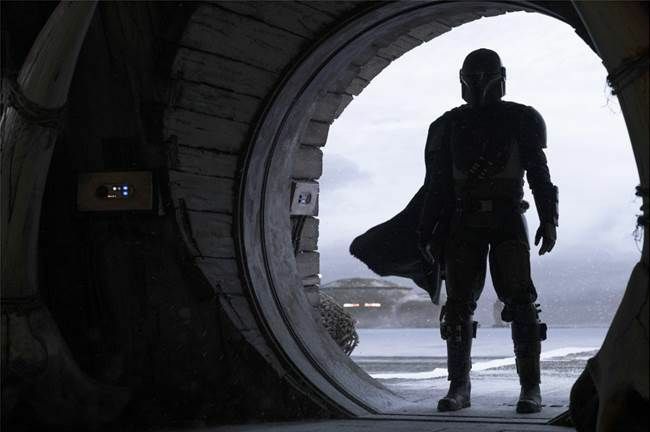 But, let’s say you know someone who’s new to the franchise; The Mandalorian can stand on its own and be accessible to them as well. The show rocks a diverse team of directors. The panel put the spotlight on the four individuals brought in to helm episodes in addition to Filoni. There’s Taika Waititi, Rick Famuyiwa, Deborah Chow and Bryce Dallas Howard. The prerequisite was that all of these directors had to be a fan and love Star Wars. 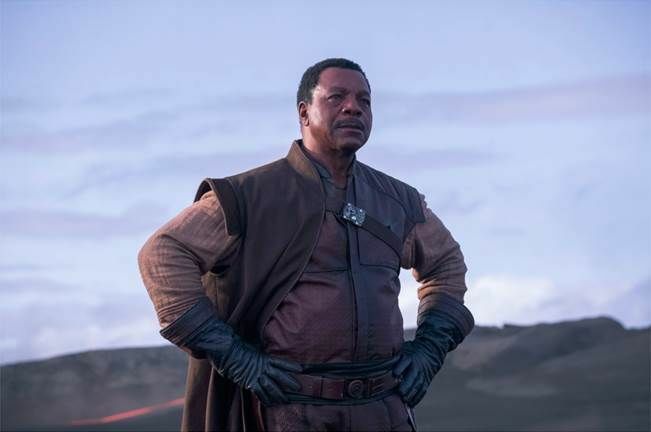 They’re all coming at the material from a different perspective and a different generation, which ties right into the goal to make The Mandalorian a show for everyone. You can see the 501st in the show! At one point, during a production meeting, the team realized that they needed more Stormtroopers so they hatched a little plan – reach out to the 501st. They put the call out and the 501st answered it. They hit the set unaware of what they were getting into with Filoni noting that they were essentially their very first test audience for The Mandalorian. The Mandalorian’s ship is practical! One of the most striking portions of the panel focused on The Mandalorian’s ship, The Razorcrest. One might expect something like this to be designed using digital effects but The Mandalorian team took a cue from the original trilogy and made a miniature. Favreau pointed out that Star Wars has to feel practical and explained that the Razorcrest is reflective of an old army surplus gunship. Filoni added, “We started talking about the process of building a model and there was a lot of interest in that. Then we started hearing about Jon building a model in his garage.” A finished shot featuring this Razorcrest miniature was in the teaser trailer screened at the panel. It was impressive all on its own, but hearing about the passionate and extremely enthusiastic behind-the-scenes journey required to make it happen made it even more memorable.